Founded in 2013, we are a team of business, real-estate and tech experts devoted to the idea that homeownership can and should be easier. We accomplish this by giving homeowners a free digital tool to stay organized and informed on all things involving their home. We’d like to share a few benefits that will help you manage your home with much less stress. View a monthly Market Valuation on your home. Store important documents and pictures for your home. We will identify top Pros in your area. 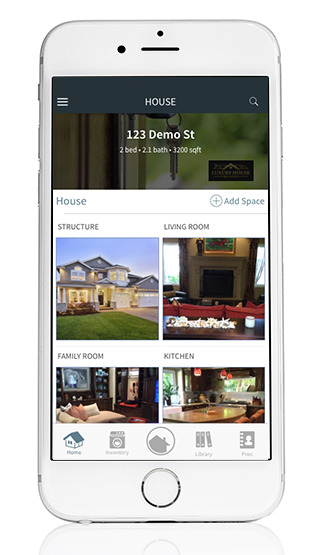 Get more out of your home with our mobile app. HōmDNA provides an updated dashboard with your home's value and local market activity. Keep track of comparable local market trends each month. With HōmDNA, you'll know when the time is right to refinance, get a home equity loan or sell at peak value. Organize and store your home's information and documents. We'll even populate it for you. For a jumpstart, upload your appraisal to HōmDNA, we will automatically populate the rooms, inventory and appraisal value for your home.